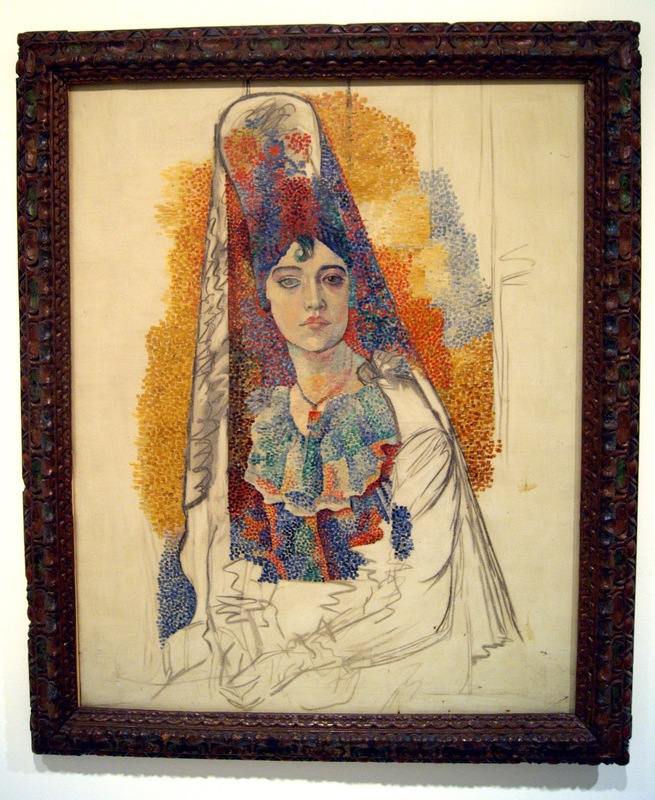 Aka woman in mantilla. Picasso painted this in 1917, aged 36. A wonderful painting. A smooth face, surrounded by points (pointillist technique). This entry was posted on June 24, 2015 by robthefrog. It was filed under art, museum, Picasso . I like his “unfinished” painting of this epoch. Much different than his usual style. I would not have guessed that this was made by Picasso. Thanks for sharing. It is interesting and very pretty.